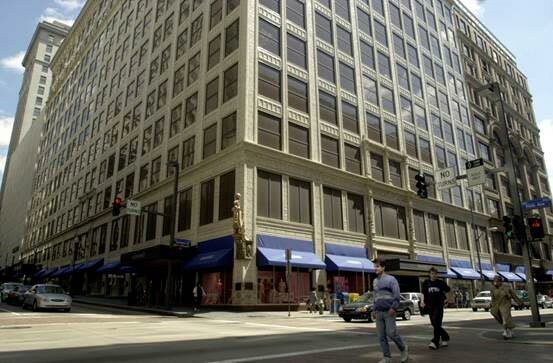 Walker & Dunlop, Inc. (NYSE: WD) (the “Company”) announced today that it closed a $14,900,000 construction loan for EVEN Hotel, which will be located in the historic Kaufmann’s department store building in downtown Pittsburgh, Pennsylvania. Built in 1887, this Pittsburgh landmark, also known as “The Big Store,” was the largest and most prominent department store in the area, spanning an entire city block. Edgar J. Kaufmann, patron of Fallingwater and the original property owner, commissioned Frank Lloyd Wright to design the executive offices of this iconic building. EVEN Hotel is part of a master redevelopment, dubbed Kaufmann’s Grand on Fifth, which will include retail, hospitality, multifamily, and office space. Reception Hotels and Resorts LLC (the “Borrower”) negotiated the acquisition of the fifth and sixth floors of the property. The hotel enjoys a prime location, within walking distance to the David L. Lawrence Convention Center, Pittsburgh’s Theater District, PNC Park, Heinz Field, and numerous business headquarters. “Identifying and closing with a non-recourse construction lender in today's market is a real challenge. Jacob Cohen from Walker & Dunlop brought us a great lender, and was a pleasure to work with throughout the process,” commented Akiva Feinsod, a principal of Reception Hotels and Resorts LLC. EVEN Hotels, owned by InterContinental Hotels Group, is a new boutique hotel brand that received one of the 2017 TripAdvisor® Travelers Choice® Awards, ranking as one of their Top 25 Hotels in the United States. This property is one of the first ten EVEN Hotels in the country. Catering to business travelers and city visitors, the hotel includes a 1,500-square foot gym, flexible workspaces, and a variety of dining options. For additional information on the Company’s financing solutions for hospitality properties, please view some of our recent press releases below. Walker & Dunlop Closes $15.5 Million Loan for Extended Stay Hotel Portfolio.